They survey and sniff, analyze and scrutinize. They take stunning images in various visible spectra. Cassini’s 12 science instruments are designed to carry out sophisticated scientific studies of Saturn, from collecting data in multiple regions of the electromagnetic spectrum, to studying dust particles, to characterizing Saturn’s plasma environment and magnetosphere. Mounted on the remote sensing pallet, these instruments study Saturn and its rings and moons in the electromagnetic spectrum. These instruments study the dust, plasma and magnetic fields around Saturn. While most don’t produce actual “pictures,” the information they collect is critical to scientists’ understanding of this rich environment. 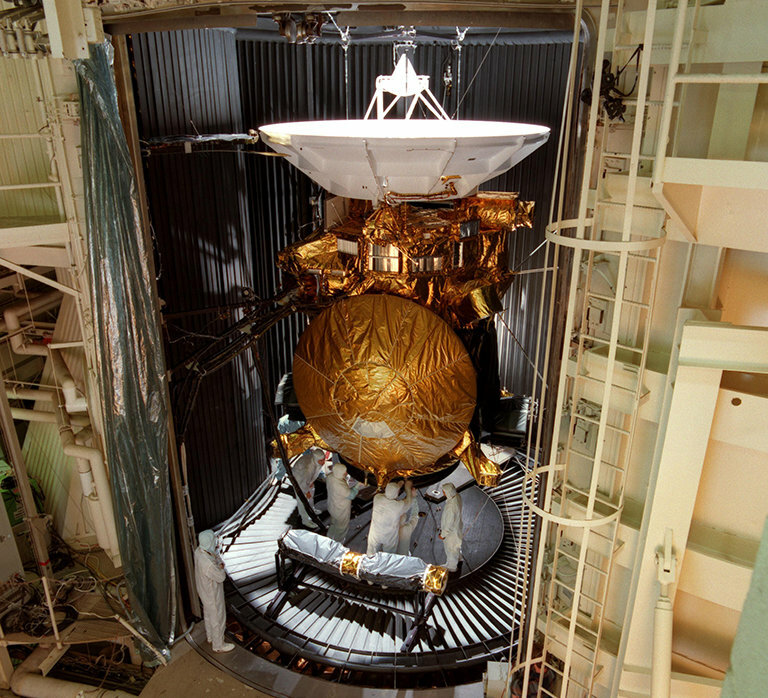 Using radio waves, these instruments map atmospheres, determine the mass of moons, collect data on ring particle size, and unveil the surface of Titan.